Canned soups are some of the highest sodium per serving products you can buy today in your local supermarket or food shop. One cup of Progresso chicken noodle, for example, has 690 mgs of sodium, more than half my daily recommended level. And a can often is more than one serving. 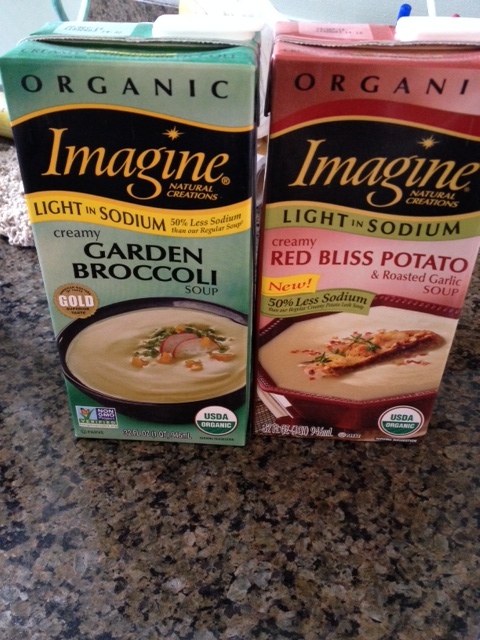 Imagine low-sodium soups: I applaud the effort, but taste is lacking, big time. I would leave out the salt, find a low-fat cheese and a low-salt, muti-grain bread to make it lower fat, lower sodium. The Noyes Street cafe sits tucked next to the El tracks in a part of Evanston that I think of as student-y, dating back to my own student days there. So it’s always surprises me how sophisticated the menu can be. I also was pleasantly surprised on a recent visit about how easily they were able to accommodate my low-salt/no-salt requests. 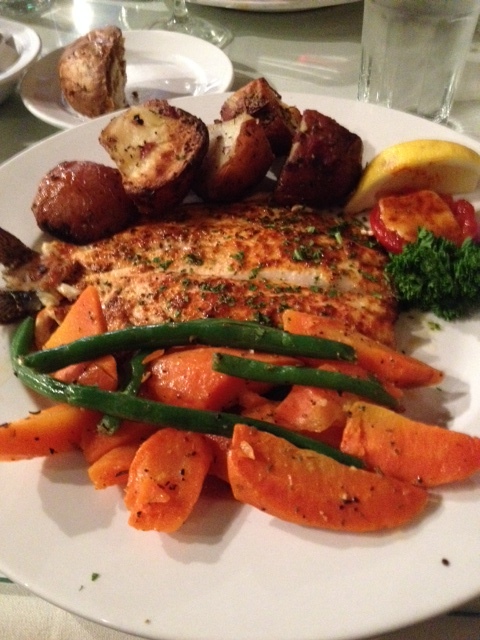 Noyes Street Cafe trout, a great low-salt special. Naturally sweeten soda: what is that anyway? Diet soda was a mainstay of my pre-angioplasty life, giving me daily hits of sweetness with no calories and I thought no harm. It comes in for much derision these days and is off my diet now except for once or twice a week, my now special treats. But let’s face it, water, which I now drink a lot, is boring and tasteless. So I keep searching for low-calorie diet alternatives. 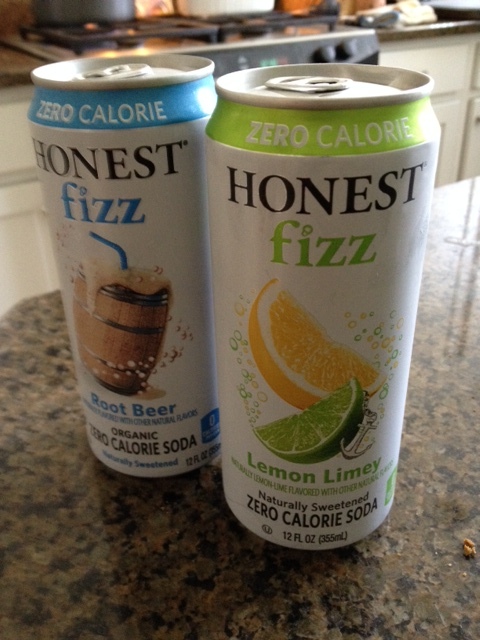 A recent trip to Whole Foods brought one to my attention, something called Honest Fizz naturally sweetened zero calorie soda (made by a unit of Coke of all places). Twelve-ounce cans were on sale for four for $5, or $1.25 a can. Not cheap, but the hope they would be tasty caused me to buy some of the root beer and lemon lime varieties. Honest Fizz soda tasted good, how do you feel about stevia? I’d try this with egg whites instead of whole eggs and no pepper, I’m not into spicy things. I like an alternative to pre-made veggie burgers which are loaded with too much salt. Cookies, especially chocolate chip cookies, were one of my favorite binge foods but since my angioplasty, cookies have been largely out of my diet. 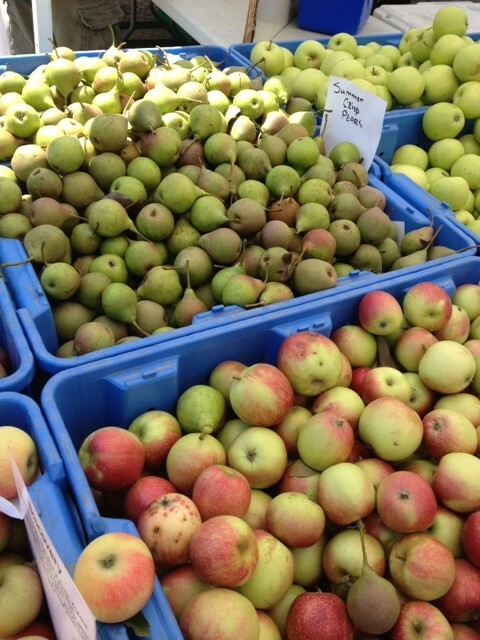 I keep searching for low-fat, low-sodium varieties, but few exist. I did find one variety at Whole Foods, but buying those requires a special trip to the one (of three) Whole Foods in my area that carries them regularly. 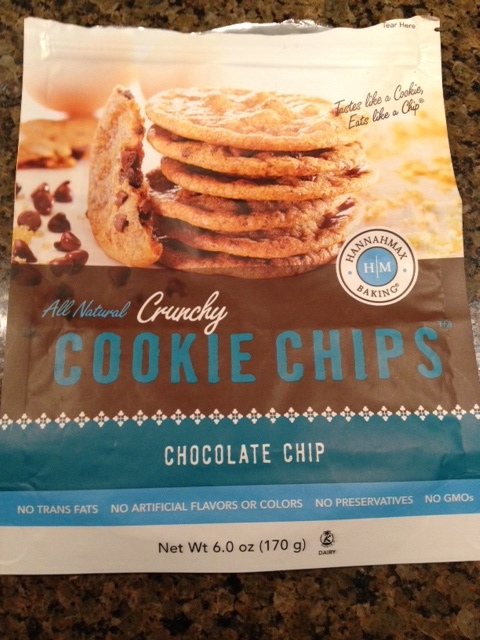 So I was excited to see a cookie that seemed relatively low-fat and low-sodium at a local Jewel supermarket. The offering, from Hannahmax Baking, was relatively tasty and if you look at the nutrition label on the package, you’d think it was low-fat and low-sodium. Five of these chocolate chip cookies has only six grams of fat. 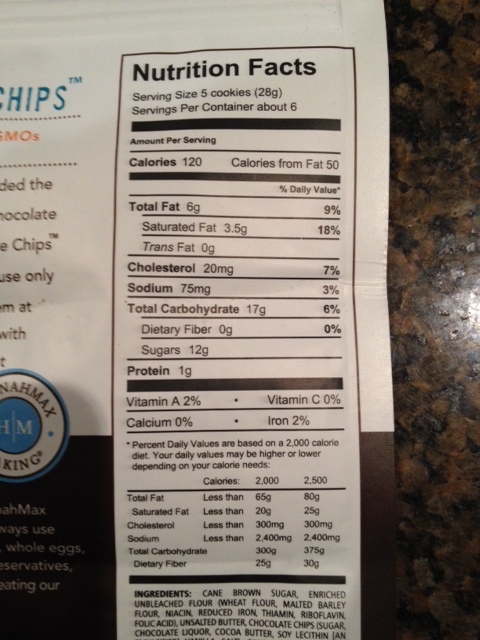 Hannahmax cookie chips nutrition information. 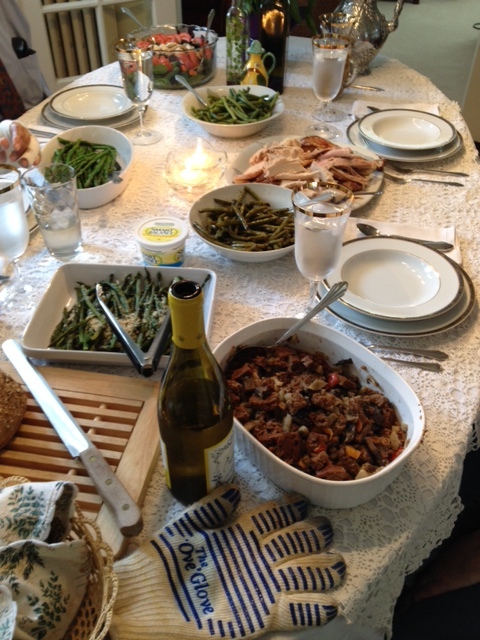 Easter dinner traditionally means one of two main courses — either ham or lamb. But neither is an acceptable choice if you’re on a low-salt, or a low-fat, or a low-salt, low-fat diet as I am. That can make being a guest at someone else’s Easter feast a problem for you. So do what I did this year. Invite family and/or friends to your house where you control the menu. Then assemble a low-salt, low-fat meal that everyone will enjoy, even if some guests are missing the ham (they can buy some at their houses). One of the things that upsets me most about the eating changes I’ve had to make since my angioplasty in 2012 is that I’m now on what I feel is an old man’s diet. No salt, no sugar, no fat, just give me some gruel and put me in a corner and watch me slowly go senile as my hair falls out for lack of protein. That’s how I feel some days when I’m watching other people eat big steaks or other restaurant dishes. These days it’s the fruit market, not the steak house, for me. My doctor for years told me to cut the salt in my diet and I would always respond that I didn’t cook with salt or add any to my meals, what else could I do? It wasn’t until after my angioplasty that I found out — what I could and now have to do is read every food label and check every restaurant menu for salt content. Everything we tend to eat in America is loaded with salt, meaning one meal, even one dish in a meal, can easily give us more than the 1,500 mgs a day someone in my life position should have. 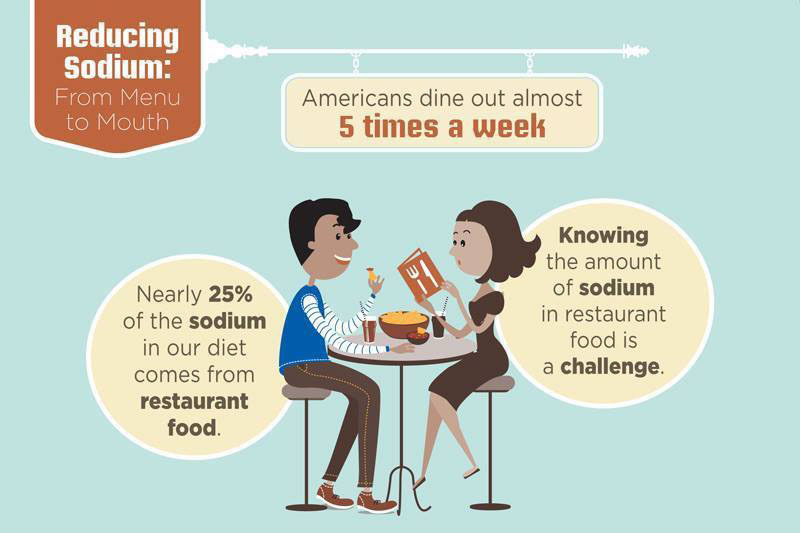 This infographic recently came to my attention and I thought I’d share it, it says nearly 25 percent of the salt we eat comes from restaurant food. I’d say it’s much higher if you eat how regularly. Salt is everywhere in restaurant food, check all menus before eating out. Here’s a handy guide for where sodium lurks in our foods and what to eat to minimize sodium intake. You also should check our ingredients, recipe and eating out pages. I’m constantly wringing sodium out of my diet these days, of the three food demons — fat, sugar and salt, it’s the one I miss the least.